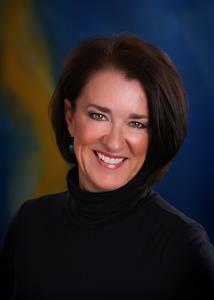 Laura is from Dallas, Texas and has been active in the field of Dance/Drill Team for over 30 years. Laura has served as the Director of Dance/Drill Competition for the Contest of Champions at Walt Disney World since 2000 and is a former Executive Director, Owner & Partner of Starmakers Dance & Performance Camps, Inc. of Richardson, Texas. Her background includes attending Kilgore College earning an Associate of Arts degree while performing as a Rangerette Lieutenant and Swingster. She completed her degree in Dance from North Texas State University and earned her Masters Degree in Physical Education at the University of Texas at Tyler. Laura directed the South Garland High School Southern Belles and was later the Assistant Director /Choreographer of the Kilgore College Rangerettes. Laura taught Dance at Kilgore College and Richland College. She was an instructor for N.C.A. Superstar for 16 years ultimately serving in the office as Curriculum Coordinator. Additionally, she has choreographed numerous bowl game pre-game & half-time shows such as the Aloha Bowl and Cotton Bowl. She has had extensive choreography involvement in the dance productions coordinated by Mike Miller & Associates as part of the Macy’s Thanksgiving Day Parade® each year since 1986. Laura has served as the 1st Vice President & as Sergeant at Arms for the Dance Drill Team Directors of America. She has been an adjudicator and choreographer throughout the country for over 30 years. This year marks Laura’s 34th Macy’s Thanksgiving Day Parade. Roger is from Frisco, Texas. He is a former cheerleader for Tulane University, the NFL New Orleans Saints and Mississippi State University. While living in New Orleans, Louisiana, he was the Official Mascot for the 1984 Louisiana World’s Fair, Seymore D. Fair. 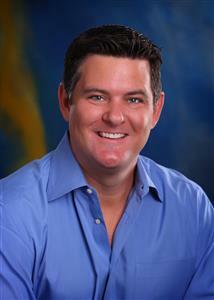 He served as an instructor for the National Cheerleaders Association for 10 years and was a Collegiate All-American. Roger was the Event Producer for the Contest of Champions at Walt Disney World from 1993-2013. He has produced and choreographed cheerleading performances for Mike Miller & Associates, in the Macy’s Thanksgiving Day Parade® (14 years), the Jeep Eagle Aloha Bowl (3 years), the St. Patrick’s Day Parade in Dublin, Ireland (3 years), London’s Grand Christmas Parade in London, England (1 year), London’s New Year’s Day Parade (1 year) and the Southwestern Bell Cotton Bowl Classic Pre-game and Half-time shows in Dallas, Texas (10 years). In 1994 he was a production assistant for the Miss Texas Scholarship Pageant and choreographer for the 75th Annual Miss America Boardwalk Parade. As the former founder and owner of America’s Best Cheer and Dance, Roger conducted cheer and dance camps and championships nationwide. He was also the founder and owner of Spirit Productions, Inc, a cheer and dance consulting business. He has served as a judge for the National Cheerleaders Association, Atlantic Cheer & Dance, American Cheer Power, Mardi Gras Spirit Events, Golden State Spirit Association and the USASF Cheerleading Worlds in Orlando, Florida. Roger completed a BSN degree from Indiana University School of Nursing. This year marks Roger’s 23rd Macy’s Thanksgiving Day Parade!